AMU B.Com 2019: Aligarh Muslim University grants admission to the commerce courses offered under the Faculty of Commerce. The undergraduate course that is available to pursue is B.Com. The admission to AMU B.Com 2019 will be on the basis of the entrance exam which will be conducted by the concerned examination authorities of the University and the Department. Candidates interested in applying for B.Com 2019 will have to fill up the Application form and submit it before the due date. It should be noted that only those applicants who will do the successful submission of AMU B.Com 2019 Application will be eligible to appear for the exam. We have mentioned all the required details regarding the admission to AMU B.Com 2019 in the article below. New: The Admit Card of AMU B.Com (Hons.) entrance exam 2019 is released by the authorities. Candidates have to provide the Course name and Application Number for downloading the Admit Card. Click for AMU B.Com. (Hons.) Admit Card 2019. New: The Application Form of AMU B.Com (Hons.) was released. The last date for the submission of the form was 28th February 2019 and the entrance exam will be held on 07th April 2019. The application forms for the B.Com course is released on the official website of the University. Candidates will have to keep themselves updated with latest released notifications regarding the admission for 2019-2020 session. The submission AMU B.Com Application 2019 will be an important step for the admission procedure. Candidates applying for B.Com program should fill up the Application form as per the availability. It is important that the candidates go through the eligibility conditions of AMU B.Com as defined to apply for both the courses. Go through the steps below for filling the Application Form to apply for the program. The first step will be of the Registration. The candidates will have to provide the basic information in order to register themselves to proceed for the Application procedure further. The Application form will be the next step to be completed by the candidate. The sections will have to be filled up with the Personal Details, Academic details, contact address as well as uploading the documents as per the specifications provided. The last step will be of the payment of the Application fee. The final submission of the Application will only be after the payment of the fee online. Candidates appearing for AMU B.Com entrance exam will have to make sure to fulfil AMU B.Com eligibility as per prescribed by the University and the concerned department. The admission to the course will be done on the basis of the General Admission Test which will be conducted by the University. Academic Eligibility: The candidate applying for AMU B.Com 2019 should have qualified Senior Secondary School Certificate Examination (Commerce) or an equivalent examination with not less than 55% marks in the aggregate of English and Accounts and any two subjects amongst Economics, Business Studies, Business Organization, Commerce, Banking, Entrepreneurship, Mathematics and/or Statistics. Diploma in Secretarial Practice Examination of this University with not less than 55% marks (in theory subjects only) in aggregate. The candidates applying for B.Com degree in Aligarh Muslim University should make themselves aware of the written examination pattern of the question paper. The admission to the candidate will be provided on the basis of the marks secured by them in the General Admission Test conducted by the University. Go through AMU B.Com examination pattern from below and find out the relevant details. The question paper will be of the objective type of 100 marks in total. The duration of AMU B.Com entrance exam will be 2 hours. 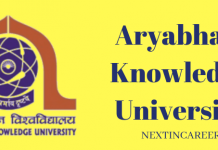 Candidates are able to download the Admit Card of AMU B.Com 2019 from the official website of the University. It is a mandatory document which is required to be downloaded by the candidate and should be presented on the day of the exam at the examination centre. Admit card contains all the required details and information which will be necessary for the candidates appearing for AMU B.Com 2019. The official link of AMU B.Com 2019 Admit Card is available here. Candidates have to fill up all the important information as asked to download the Admit Card of AMU B.Com. The document will carry all the important details such as the Name of the candidate, Course applied for, Venue of the exam, timings of the entrance exam and the instructions followed by the candidate on the day of the exam. Navigate for AMU Admit card. After locating the link of AMU Admit Card 2019 candidates will have to provide the required credentials and should make sure to click for B.Com Admit Card. After providing the details, AMU B.Com Admit Card 2019 will appear on the screen. Go through the details mentioned on the Admit card and in case of any form of discrepancy, contact the examination body immediately. If satisfied download the Admit card and keep it for the future reference. The Answer key of AMU B.Com 2019 will be released by the examination conducting body of the University. The Answer keys will be released a few days after the entrance exam has been conducted. The availability of B.Com Answer Keys for will be on the scheduled date. The release of the Answer key will help the candidates in the estimation of the marks to be secured by them in the entrance exam which will predict whether they will be selected for the course or not. The Answer key of B.Com will contain the correct answers to be marked by the candidate in the question paper. Candidates who successfully appear for the exam can cross-check the answers marked by them in the exam to the answers mentioned in the Answer Key. Candidates will get an opportunity of raising an objection to the answers in the answer key. Revised Answer Key of AMU B.Com will also be released. Aligarh Muslim University releases the result of the Admission Test on the official website of the University. Candidates who successfully appeared for AMU B.Com 2019 exam will be able to check whether they have qualified the exam or not. The result of B.Com will be available in a pdf format and candidates will have to select the course that they appeared for in order to check the marks secured by them in the entrance exam. It should be noted that qualifying the exam does not assure the admission to the University. The final admission will be on the basis of the rank mentioned in the Merit List and candidates whose names will appear in the list will have to report at the counselling centre for the final seat allotment. Date of Birth certificate or 10th High School Certificate to prove Date of birth. Ten recent coloured passport size photographs with white background. Migration or Transfer certificate from the institution last attended by the candidate. Marksheet of 12th standard or an equivalent qualifying examination. Admit card of AMU B.Com examination 2019. One copy of the Application form that was submitted while applying for AMU B.Com Program.